That Council approve the designation of the Bradley/Craig Farmstead, 590 Hazeldean Road, under Part IV of the Ontario Heritage Act in accordance with the Statement of Cultural Heritage Value, attached as Document 4, as amended. Que le Conseil approuve la désignation de la ferme Bradley/Craig, située au 590, chemin Hazeldean, aux termes de la partie IV de la Loi sur le patrimoine de l’Ontario, conformément à l’énoncé de la valeur sur le plan du patrimoine culturel faisant l’objet du document 4 ci-annexé, tel que modifié. 1. Deputy City Manager's report Planning, Transit and the Environment dated 4 January 2010 (ACS2010-ICS-PGM-0021). 2. Ottawa Built Heritage Advisory Committee (OBHAC) Extract of Draft Minutes of 21 January 2010. That the Ottawa Built Heritage Advisory Committee recommend that Planning and Environment Committee recommend that Council approve the designation of the Bradley/Craig Farmstead, 590 Hazeldean Road, under Part IV of the Ontario Heritage Act in accordance with the Statement of Cultural Heritage Value, attached as Document 4. Que le Comité consultatif sur le patrimoine bâti d’Ottawa recommande au Comité de l’urbanisme et de l’environnement de recommander à son tour au Conseil d’approuver la désignation de la ferme Bradley/Craig, située au 590, chemin Hazeldean, aux termes de la partie IV de la Loi sur le patrimoine de l’Ontario, conformément à l’énoncé de la valeur sur le plan du patrimoine culturel faisant l’objet du document 4 ci-annexé. 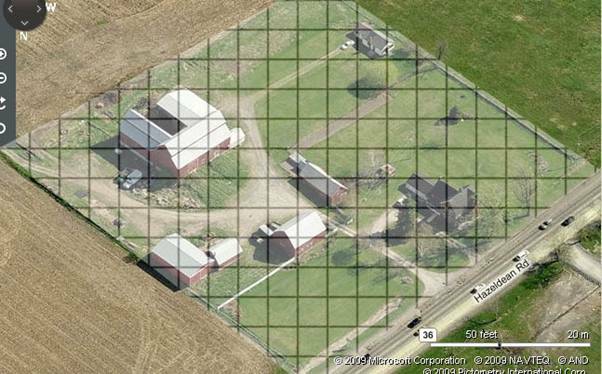 The Bradley/Craig Farmstead, 590 Hazeldean Road (see Location Map, Document 1 and Bird’s Eye View, Document 2) includes the farmhouse and barn at 590 Hazeldean Road. The farmhouse is a two-and-a-half-storey, red brick structure, built during the 1870s. The barn, built in 1873, features timber frame construction and a monitor roof. Taken together, the farmhouse, large barn and farmyard are an excellent example of a late 19th century farmstead built when agriculture was the dominant economic activity of the province. The farmstead was farmed by the Bradley family for generations. The last member of the family to farm the land was married to a descendant Joshua Bradley, the original settler of the land, and he farmed there from the 1940s until his recent retirement. The Bradley/Craig Farmstead was included on the former City of Kanata’s heritage reference list. Staff contacted the owners and undertook research to understand the history of the farmstead and to determine whether or not it was worthy of designation. Their analysis revealed that the farmstead was worthy of designation. In 2006, the property was sold to a developer, and in 2007 the Department wrote to the new owner, communicating its interest in designation. There was no response to this letter. Staff did not proceed with the designation out of consideration of the former owners, now tenants, who were elderly and interested in avoiding public attention. In addition, the building was not threatened. The proposed designation was noted in the Fernbank Community Design Plan in 2009, and at the time, the owners were again notified of the City’s interest in designating the property. The owner of the property has expressed concern about the inclusion of the barn in the designated parcel because of concerns regarding the future use of the structure. Heritage staff made an inquiry through AGORA-L, an electronic network of heritage professionals and ordinary citizens, administered by the Heritage Canada Foundation, and an informal group of heritage planners in Ontario looking for successful examples of the adaptive re-use of barns. Many examples were found across Canada, including theatres, restaurants, wineries, private houses and retail stores. Since then, the owner of the property and heritage staff have met to discuss the proposed designation and staff has allayed some of the concerns regarding the protection of the barn under the Ontario Heritage Act. The developer hired a conservation architect to undertake an analysis of the barn’s condition. Part IV of the Ontario Heritage Act gives municipalities the authority to designate properties of cultural heritage value. In order to be designated, the Ottawa Built Heritage Advisory Committee (OBHAC) considers the designation and makes a recommendation to Planning and Environment Committee (PEC) and City Council. Council’s decision can be appealed by any member of the public. If there is an appeal, a Conservation Review Board hearing is held and its decision is referred back to Council. At that point, Council has the choice either to uphold or withdraw the designation. The City will give immediate consideration to the designation of any cultural heritage resources under the Heritage Act if that resource is threatened with demolition. Section 2.6.1 of the Provincial Policy Statement (2005, PPS) contains policies regarding the conservation of cultural heritage resources: “Significant built heritage resources and significant cultural heritage landscapes shall be conserved.” Research conducted by staff confirmed that the Bradley Craig Farmstead has cultural heritage value and is worthy of protection under Part IV of the Ontario Heritage Act. Designating the property will be consistent with the PPS. The Bradley/Craig Farmstead demonstrates the development of farming methods and the parallel evolution of farm buildings, from simple log structures, to large, timber frame barns and elaborate farmhouses. Built on land originally settled by Joshua Bradley in 1821, whose family became leaders in the community, the farmstead was a model for dairy farms across the region. The Gothic Revival style farmhouse was constructed by his grandson in the 1870s, replacing an earlier log house. The Gothic Revival was at the height of its popularity at this time and the building has many features associated with the style, including white brick voussoirs, stringcourses and quoins, a steeply pitched gable roof, bargeboard trim in the gable ends, verandas, and roof The entrance displays a high level of craftsmanship including its original front door with sidelights and elliptical transom of blue and purple glass. Regulation 09/06 sets out criteria for designation under Part IV of the Ontario Heritage Act. It states that “A property may be designated under Section 29 of the Act if it meets one or more of the following criteria for determining whether it is of cultural heritage value or interest …” These criteria are organized into three groups; design or physical value, historical or associative value and contextual value. The two buildings that comprise the Bradley/Craig Farmstead meet the design criteria in the regulation. The house is a good representative example of the Gothic Revival, demonstrating a high level of craftsmanship in its detailing. The Barn is an excellent example of a monitor roofed dairy barn built with many technologically advanced features specific to dairy barns. It is the last known work of barn builder, Cummings, to survive. In terms of historical value, it is associated with the Bradley family, a prominent pioneer family in Goulbourn Township and its development into a large dairy farm illustrates the agricultural history of the area from earliest settlement to a period of economic prosperity. Finally, the Bradley/Craig Farmstead has contextual value as a local landmark (see Document 4, Statement of Cultural Heritage Value and Document 5, Heritage Survey Form). The recommended designation meets the criteria for designation under the Ontario Heritage Act. The designation would protect a valuable part of Ottawa’s rural heritage and would be consistent with policies set out in the Official Plan and the Provincial Policy Statement. The designation meets the criteria of Regulation 09/06 of the Ontario Heritage Act. Heritage Ottawa is aware of the proposed designation. Councillor Glenn Brooks is aware of the proposed designation. The property owner is aware of the proposed designation. City Clerk and Solicitor Department, Legislative Services Branch to notify the property owner and the Ontario Heritage Trust (10 Adelaide Street East, 3rd Floor, Toronto, Ontario, M5C 1J3) of Council’s decision to designate the Bradley Craig/ Farmstead, 590 Hazeldean Road. Planning and Growth Management Department to advertise the Notice of Intention to Designate according to the Act and subsequent Notice of the passage of the designation by-law. Planning and Growth Management Department to include the property on the municipal heritage register. Surveys and Mapping to prepare an accurate survey of the lands to be designated. Legal Services to prepare the designation by-law, submit it to City Council for enactment, serve the by-law and register it on title following passage by Council. NOTE: The highlighted area does NOT represent the area proposed for designation under the Ontario Heritage Act. It shows the current extent of the property. This aerial photograph represents the approximate boundaries of the area proposed for designation. Parcel to be surveyed prior to the passage of the designation by-law. Consolidation Period: From January 25, 2006 to the e-Laws currency date. 1. (1) The criteria set out in subsection (2) are prescribed for the purposes of clause 29 (1) (a) of the Act. O. Reg. 9/06, s. 1 (1). iii. demonstrates a high degree of technical or scientific achievement. iii. is a landmark. O. Reg. 9/06, s. 1 (2). The Bradley/Craig Farmstead, a complex including a two-and-a-half storey Gothic Revival style farmhouse and a large dairy barn, is located on the south side of Hazeldean Road. The Bradley/Craig Farmstead’s cultural heritage value lies in its being an excellent example of a farmhouse and barn constructed in the latter part of the 19th century when agriculture was the dominant economic activity of the province. It illustrates the second phase of the agricultural history of the former township of Goulbourn when farmers became more prosperous and constructed elaborate high style houses and technically advanced barns to replace earlier log structures. Built on land originally settled by Joshua Bradley in 1821, the Gothic Revival farmhouse was constructed by his grandson in the 1870s. The barn, built in 1873, illustrates improvements in farming techniques and the parallel evolution of farm buildings in the late 19th century; as the scale of farms increased, larger timber framed barns were built which incorporated labour saving innovations such as ramps for unloading hay, and rope and pulley systems for moving the hay into the mow. The barn was specifically designed for a dairy farm and its large size and monitor roofline meant that the hay required by a large dairy operation could be safely stored within it. The barn was constructed by a local builder, John Cummings, with the help of apprentices and neighbouring farmers. Cummings was a prominent craftsman in Goulbourn, having built a number of significant buildings and barns in the township. The garage attached to the house, the later additions to the original barn, the recent house and the outbuildings are not included in the designation. The designation applies only to the farmhouse, barn and farmyard. Gothic Revival brick farmhouse. The Gothic Revival style was in widespread use for the design of residences during the 1870s in Ontario. The steeply gabled roof, bargeboard decoration and verandas with decorative trim are characteristic of the Gothic Revival farmhouse. The brick accents in label moulds and stringcourses, and the decorated chimneys were also typical of the style. The farmhouse is a two-and-one-half-storey, red brick structure with white brick trim, constructed in the 1870s. There is a bargeboard on the front and side gables. There are white brick quoins on the corners of the building. The northwest projecting bay is the location of the only window in the attic storey. White brick stringcourses continue into label moulds around the top edge of the first and second-storey windows. The two over two sash windows have stone sills. The front door is flanked by round-headed sidelights. Two round-headed, exterior metal grills protect the glass in the door. The transom window extends the width of the sidelights. All of the windows in the door, sidelights and transom have the original purple and blue glass. There is a front veranda with decorative trim and chamfered posts. The original veranda on the southeast elevation has been replaced by an enclosed porch, clad in wood siding. The chimney on the south gable is the only chimney remaining of the three original chimneys. The foundation is stone masonry. There is a new attached double garage on the south (rear) elevation. The metal roof is black. This timber frame barn is a particularly large example of the type of barn built to accommodate the needs of a large dairy herd. It has a high foundation wall and earth ramps for driving a hay wagon (and later a tractor) into the upper level of the barn. The lower level of the barn contains stables and a milking parlour while the upper level has a threshing floor with storage areas to the side. A system of pulleys and ropes with hayfork was used to move the hay. The cows were fed and milked on the ground level of the barn. The barn has a U-shaped floor plan and a monitor roof. (Later additions resulted in the U-shaped plan.) The shutters in the window openings of the monitor roof are opened or closed as required for ventilation. There are a pair of large double doors on the north elevation which are wide enough to accommodate a team of horses or a tractor. There is an earth ramp for each pair of double doors. A smaller door is centred between the double doors. There are several window and door openings on the south, east and west facades of the barn, irregularly arranged. The barn is clad in vertical wood siding, with white trim. The metal roof is grey. The windows on the knee wall are diamond-shaped and have white trim. There are various types of windows at the ground level. The foundation is stone masonry and has been repaired in a few areas with poured concrete. Outbuildings There are three smaller farm buildings to the north of the main barn. There are two gambrel roofed, wood frame structures, clad in wood with metal roofs, built around 1930. The third building is a contemporary metal storage shed. The front door of the house, with its round-headed windows, original sidelights and elliptical transom of blue and purple glass, is also finely crafted. The door has ornate exterior metal grills that are the same dimensions as the round-headed windows. Other examples of fine craftsmanship in the house include the newel post and balustrade of the main staircase and the white brick decoration on the exterior of the house. The farmhouse and barn are refined examples of their type. The barn is of timber frame construction. Timber frame construction uses no metal fasteners to hold the supporting structure of the barn together. A timber frame building is built of solid wood timbers connected by mortise and tenon joinery secured with hardwood pegs. The barn is an unusually large example of timber frame construction. There is considerable technical expertise required to raise timbers of this size. The joinery secured with wooden pegs displays a high level of craftsmanship, given the precision that is required to secure the weight of timbers that span such large distances. The use of a hay fork attached to a track along the ridge beam of the roof was a labour saving device that represented an innovation in farm technology. The track replaced earlier pulley systems that were capable of moving loads vertically, but not horizontally through the barn. The Bradley Craig Farmstead illustrates the development of farming methods and the parallel evolution of farm buildings, from simple log structures, to large, timber frame barns and substantial farmhouses. It is an example of the work of a prominent carpenter, John Cummings, who built a number of significant buildings in the Goulbourn area. The farmhouse and barn are refined examples of their type. Ennals, Peter M. Nineteenth-century barns in southern Ontario. Canadian Geographer, XVI, 3, 1972. Biographical files held by the Goulbourn Museum History Centre on John Cummings (F-1043). McIlwraith, Thomas F. Looking for Old Ontario – Two Centuries of Landscape Change. University of Toronto Press. Toronto, 1997. The property at 590 Hazeldean Road was settled by Joshua Bradley (1800-1881). Bradley was born in County Wexford, Ireland and arrived in Upper Canada in 1821. He received a Crown land grant in Goulbourn Township in 1824 for Concession XI, Lot 29, the current location of the Craig farmhouse and barn. The land was prime agricultural land. The earliest buildings were a log farmhouse and several log barns. In the 1870s the log farmhouse was replaced by the existing Gothic Revival brick house. In 1873, John Cummings, a local carpenter, built the existing large, well-ventilated barn for the Bradley family. Cummings built four similar barns in the Goulbourn area, none of which remain standing. The farm remained in the ownership of the Bradley family since the date of the Crown grant in 1824 until it was sold in January 2007. Settlement of Goulbourn Township. Goulbourn Township was settled beginning in 1818 by veterans of the War of 1812. Soon after, Irish, Scottish and English immigrants arrived, escaping the troubled economic conditions resulting from the Napoleonic Wars. During the Irish Potato Famine, 1845-1850, many settlers arrived in Goulbourn from Ireland. The builder of the farmhouse is not known. The barn was built by John Cummings (1832-1887) in 1873, with the help of apprentices and neighbouring farmers. Cummings was born in Ireland and came to Goulbourn sometime during the 1850s. He apprenticed to a carpenter named John Shore in Ashton. Cummings lived in Stittsville with his family and traveled throughout the area building barns and houses, in addition to doing other carpentry work. The Craig barn is the only known remaining example of a Cummings barn. Cummings built the Butler House, The Richardson House, St. Paul’s Anglican Church (burned in 1935), all located in Goulbourn. The Craig farmhouse and barn illustrate the settlement of former Goulbourn Township, from the arrival of settlers to the development of the land into prosperous farms. Interviews with Norma and Eldon Craig, 2003. Graupner, John Graham. The Gallant Grahams of Canada. Harlo Printing Company. Detroit, Michigan. 1990. pages 190 – 197 and 661 – 663. Biographical files held by the Goulbourn Museum History Centre on John Cummings (F-1043) and Joshua Bradley (F-1042). Stanzel, Jim. Land Patent Holders Goulbourn Township and Village of Richmond. Ottawa Branch – Ontario Genealogical Society. Publication Number: 01-03, ISBN: 0-7779-1516-2. The farmhouse and barn represent the last vestiges of rural heritage character on Hazeldean Road in the context of adjacent suburban subdivisions and commercial developments. The agricultural complex consisting of the timber frame barn, Gothic Revival farmhouse, outbuildings and surrounding fields is a cultural heritage landscape that is typical of the late 19th century dairy farm and is a character-defining element on Hazeldean Road. The farmhouse and barn are set close to the road with open fields to the rear. The distinctive roofline of the large barn and the architectural character of the house combine to make this farm complex a landmark on Hazeldean Road. The house and barn are the last remaining examples of their type between Stittsville and Kanata. The Craig farmhouse and barn are prominent, character-defining heritage elements on Hazeldean Road in the context of adjacent new residential and commercial development. Sally Coutts, Heritage Planner, spoke to the report, outlining in particular details pertaining to the application process for heritage designation. Ms. Coutts provided a PowerPoint presentation outlining the heritage attributes of the two buildings, the farmhouse and barn at 590 Hazeldean Road, as well as the parcel of land that staff are recommending for designation. Ms. Coutts elaborated on the craftsmanship and strong cultural heritage value of the gothic revival style farmhouse, as well as the sophisticated construction of the dairy barn, with a monitor roof and diamond-shaped windows. Ms. Coutts reminded members that the outbuildings, as well as the more recent addition to the barn are not part of the proposed designation. Miguel Tremblay, FoTenn Consultants Inc., spoke to in opposition to the designation. Mr. Tremblay stated that the City of Ottawa’s Official Plan policy regarding intensification may be in conflict with the City staff’s recommendation to designate this property. Mr. Tremblay warned members that zoning allows for significant mixed use development directly adjoining the proposed parcel, and that Hazeldean Road would be converted to an arterial road. Mr. Tremblay suggested that under such circumstances, the context on which the designation is based would be lost. Alan Cohen, Soloway Wright, spoke in opposition to the designation. Mr. Cohen stated that the Craig barn may be inappropriate for designation because it is no longer used as a dairy barn, and would therefore most likely remain unused amidst new development. Mr. Cohen stated that if OBHAC recommended against designation of the building, it would be more easily moved to an area where an adaptive reuse might be more feasible. This, Mr. Cohen felt, would ensure its conservation, rather than simply its preservation. David Jeanes, Heritage Ottawa, spoke to the comments submitted by Ken Elder, Heritage Ottawa. Mr. Jeanes noted the front door of the farmhouse and the diamond shape of the windows in the Craig barn as significant attributes to the buildings. · Email dated 18 January 2010 from Ken L. Elder, Advocacy Director, Heritage Ottawa, in support of the designation. 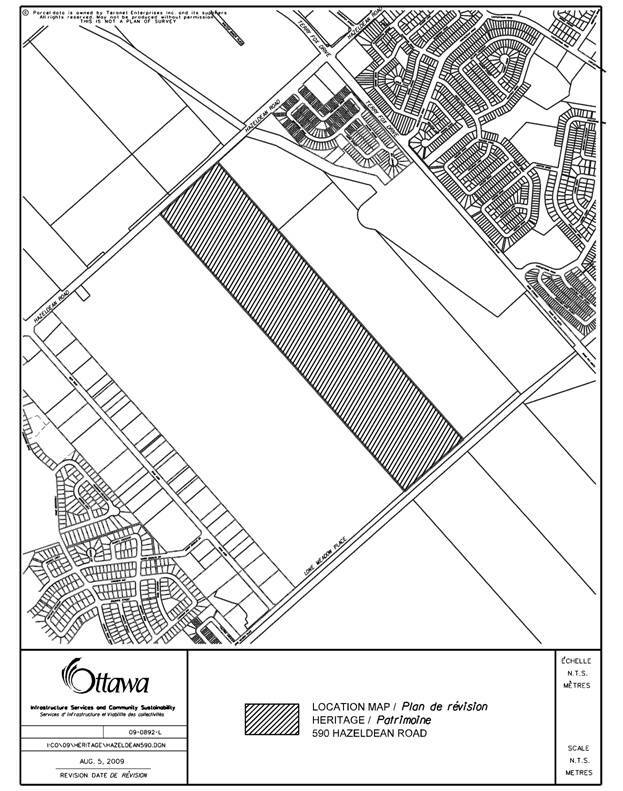 Members noted that the parcel recommended for designation is a small portion of the overall lot owned by the developer, and that this property was listed on the former City of Kanata heritage reference list. Members applauded the City of Ottawa for seeking designation of a complex including a barn, which have heritage significance. 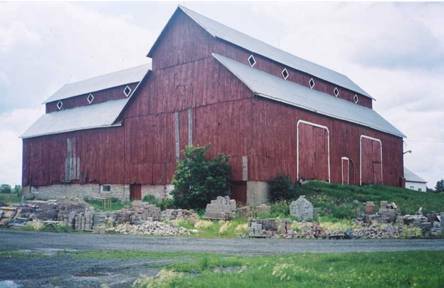 Members felt that the developer would have opportunity to find an adaptive reuse for the Craig barn, and felt that the attributes described by staff exceeded the requirements to warrant designation. Finally, members determined that the development proposed for the adjacent site should not impede heritage designations, and felt that this designation was not in conflict with the mixed use development zoning. Members suggested to staff to amend Document 4 to include the two doors of the Craig barn. That the Ottawa Built Heritage Advisory Committee recommend that Planning and Environment Committee recommend that Council approve the designation of the Bradley/Craig Farmstead, 590 Hazeldean Road, under Part IV of the Ontario Heritage Act in accordance with the Statement of Cultural Heritage Value, attached as Document 4, as amended. An e-mail dated 8 February 2010 was received from David Flemming, Heritage Ottawa, and is held on file with the City Clerk. Sally Coutts, Planner II, provided an overview of the proposed designation, by means of a Power Point presentation. She provided an overview of the history of the site of the rationale for designation of the Bradley-Craig farmstead under the Ontario Heritage Act. Specifically she focused on the characteristics of the barn that merited designation and the potential for its adaptive re-use. A copy of the staff presentation is held on file with the City Clerk. · The importance of the Bradley/Craig Farmstead lies in its status as a rare, well-preserved example of the second wave of buildings on a working farmstead in continuous use since the earliest days of settlement. · It is of clear importance as a reminder of the historical development of the area and its role as an important agricultural region. .
· The farmhouse is an excellent, well-preserved example of Gothic Revival style and its retention and adaptive re-use will add interest and variety to the nearby planned commercial development. · The barn is a well preserved, very rare example of a working dairy barn from the 1870s. The unusual features of this barn make it especially worthy of heritage designation and preservation, and the structure exceeds the tests for designation under the Ontario Heritage Act. · At the OBHAC meeting, objections were raised on behalf of the current owner to the designation of the barn. The objections did not question the Statement of Cultural Heritage Value, nor the factual accuracy of the Staff report or its conclusions; Rather the objections centred on economics the relative importance of intensification vs. heritage. · With regards to the owner’s economic arguments, it is OBHAC’s position that, while preserving the barn would indeed be less profitable than removing it, it is OBHAC’s position that the cost is small relative to the overall benefit, as the house and the barn are on a very small portion of the total land, and retaining the barn will clearly affect only a very small part of the redevelopment planned for this large parcel. In additions, as the zoning on this land has been changed from agricultural to a Mixed Use zone, a very large private benefit has already accrued for the landowner. · With regards to the arguments raised with regards to the requirement for intensification, it was noted that the Provincial Policy Statement does not qualify its requirement for preservation of heritage dependent on how much development is planned for the site. · OBHAC is of the opinion that, as the parcel proposed for designation is small relative to the total size of the parcel to be developed, and commercial development is proposed for nearby parcels as well, very substantial intensification will be accommodated in this area even with the proposed designation. · Adaptive re-use of the barn is possible within a commercial context, and is likely to inspire a better-designed commercial development. A copy of OBHAC’s comments is held on file with the City Clerk. · The Statement of Cultural Heritage value fully meets and exceeds the criteria for designation in all three categories: design or physical value; historical or associative value; and contextual value. · To exclude the barn in its original 19th Century configuration would be tantamount to rejecting the property’s historical significance as a farmstead. The barn should remain on the site close to the farmstead as it would not have the same effect if taken out of context if moved elsewhere. · The property represents the last vestige of rural heritage characteristics on Hazeldean Road, which has been given over to residential and commercial development. · The importance of this site was recognized by the former City of Kanata, which included it on their heritage reference list. · Intensification is a reason to include the barn in the designation, as the neighbourhood will be home to thousands of people, many of whom will have no appreciation of the City’s agricultural or rural heritage. Mr. Flemming concluded by suggesting this was one of the most exciting opportunities Council has had to designate a property under the Ontario Heritage Act. · The first request is that the not be designated at the present time. Instead, Richcraft would be permitted three years to market the property and look for a tenant in the absence of a heritage designation. If after this period they are unsuccessful in obtaining a tenant, discussions could be undertaken to relocate the barn to another site. Acknowledging this is not an optimal scenario from a heritage preservation perspective, it would provide an opportunity to retain the structure and still find a suitable tenant. · The second request is that the parcel being considered for designation be reduced to something more manageable for the developer, given staff has already acknowledged that the outbuildings have less value and thus should not be designated. · With regards to the policy context of the proposed designation, he noted the lands are designated Arterial Main Street. This Zone in the OP is intended to accommodate very intensive development, in this case of a commercial nature. · The lands are also designated Mixed Use Centre in the Fernbank Community design Plan (CDP). The mixed use designation is intended to meet the everyday needs of the new residents, and these lands play an important role in meeting the everyday needs of the future residents of both Fernbank and the Kanata West lands to the North. · OBHAC’s assertion that the parcel being designated is small compared to the lands owned by Richcraft could be somewhat misleading. Of the parcel purchased by Richcraft, the likely extent of the Commercial designation only about a depth of 190 metres. Thus, the designation being requested for an area of approximately four acres represents about 26 per cent of the available commercial lands, which is significant. · Richcraft, who has some experience with heritage structures, does not think they will necessarily be successful in finding a tenant if a heritage designation is on the building. They would like the opportunity to work with future tenants in the absence of a designation and then come back and portions could be designated. · The barn will be competing for tenants with purpose-built retail space in the same development and nearby. North and South of Hazeldean Rd, there would be approximately two million square feet of retail. · One option could be for the City to acquire the barn and relocate it 500-600 metres South to the proposed district park that is part of these larger lands owned by the developer. He proposed that Richcraft would gladly relocate it to the district park so the City could use it as a changing or washroom facility. This is one example of the discussions that could take place. soccer fields. Allow us to have those kinds of discussions, which in my opinion won’t happen if you have the designation. · Richcraft also likely did not appreciate that the City would be looking to designate a full four acres of commercial land. Councillor Qadri noted that during the Fernbank CDP discussions, the policy implications of designation were taken into account, and it was his understanding that through the CDP intensification level was taken into consideration when in designing an overall intensification policy for the area. Mr. Tremblay acknowledged that his involvement with the CDP had been shorter than the Councillor’s; however, having reviewed the CDP in light of another appeal, and I don’t have any direction that the intensification policies would discount this area. He suggested Richcraft could have reasonably expected the would be available for development under the CDP policies, and the CDP policy referenced earlier seems to indicate that the barn could be relocated. Councillor Qadri understood that through the CDP discussions, this property was always to be saved as a special interest piece of property, and did not recall any discussions of relocation. With regards to the potential of relocating the barn to the district park, acknowledging there were appeals underway, he suggested the park would be of insufficient size to accommodate what the City was already planning, much less the barn. Mr. Tremblay noted his involvement in the appeals related to the district park. He reiterated that he would like the opportunity to work with the City’s Parks and Recreation to see if they might want the building. He noted Richcraft’s heritage architect suggested smaller rooms or compartments could be built within the larger structure, which could be used for a snack bar or change rooms in support of what the City has planned on the site. In response to questions from Councillor Monette with regards to the feasibility of moving the barn without damaging, Ms. Dalla Rosa explained that it is possible, based on a structural report obtained by Richcraft. 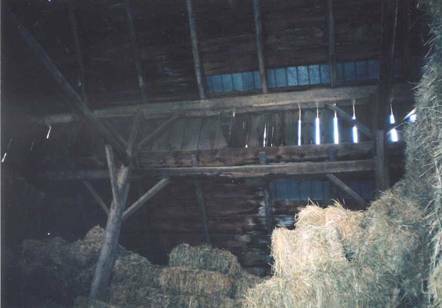 Mr. Tremblay noted that the nature of the barn construction is such that would probably have allowed it to be relocated on farm properties, as its wooden dowel system with pegs and holes..
Councillor Hunter wondered why designation of the barn building would make it so difficult to relocate it. He suggested the designation could an appropriate lever for the City to use to ensure the property owner negotiates in good faith to relocate the building to another site. He wondered if it would be appropriate to build a caveat built into the designation resolution that allows for relocation discussions to take place. Mr. Tremblay expressed that, in his experience, once a designation is applied it is quite difficult to remove or revisit. He maintained the position of the developer is that the designation is an additional encumbrance that will be difficult to address, and the developer’s real estate division is of the opinion that potential tenants won’t want it with a heritage designation. He suggested that withholding the designation for three years, as requested, would result in a reuse faster than putting a designation on it. In response to statements made by the delegation, Ms. Coutts clarified that even though the larger area is designated, the owner would not need to go back to OBHAC in order to demolish the outbuildings that are not designated. Councillor Hunter suggested designation would be an appropriate lever for the City to have, to make sure that negotiations around relocation are done in good faith, and expressed his discomfort with just leaving it up to the developer. Councillor Wilkinson wondered why this designation could not be seen as a potential commercial opportunity, such as the designation of March House. She suggested this area could incorporate the buildings into something unique and different from the surrounding strip mall development. She wondered if the developer had looked at the possibility of such heritage economic development. Mr. Tremblay proposed that the developer was indeed considering it to be an opportunity. However they are asking for the designation to be delayed in order to allow the flexibility to deliver on that opportunity. He noted this was not a small piece of property in an already developed area with a strong retail base, but rather one of the early properties to develop in a large regional shopping centre; thus the barn will have to compete for tenants with every other square footage on this corridor. The developer feels the designation limits the ability to find a tenant. Councillor Wilkinson suggested it would not be that difficult with the right concept. Ms. Dalla Rosa noted that the architect/ heritage specialist hired by Richcraft is currently conducting a “future use study,” looking at what sort of things could be done with the existing structure. She suggested that once the study was completed, the developer would have a better idea of what could go into barn in that location, or a different location. Mr Tremblay suggested that, while the barn is a fantastic structure, it is somewhat problematic to redevelop. He noted March House was an easier type of structure to deal with. He suggested it would take time to find a suitable partner, as the building is unique. Chair Hume noted that the City had been communicating with Richcraft since 2007 about the designation, and the staff report indicates no response was received to the letter sent. He wondered why the developer did not ask for this flexibility at that time or respond to the City’s letter. Ms. Dalla Rosa noted Richcraft had received an “intent to designate” letter as soon as they acquired the property, and they had met with staff. She noted Richcraft had watched the Fernbank CDP process to see how this heritage land was going to be impacted, and referenced the statement previously identified by Mr. Tremblay that seemed to indicate relocation would be discussed. Mr. Tremblay noted that the Fernbank CDP was approved by Council in July 2009, and was subject to numerous appeals. Thus he suggested the policy documents governing the development of these lands are still not fully in place. He proposed that it might have been premature for Richcraft to have turned a lot of attention to this property in the absence of an approved CDP. In response to further questions from Councillor Hume, Mr. Tremblay advised that they had met with staff on several occasions, including a site visit, and had raised the same points with staff and OBHAC that they were raising before this Committee. · The entire barn is important, including the under-ground infrastructure, its importance is linked to its location, and its meaning is derived to a great extent from the relationship with the house and its place within the farmyard. · The barn is constructed such that if were to be moved, in addition to possibly losing the milking stalls, you would also lose the story that it tells and the relationship to the house. · An analysis has been done, and in order to move the barn it would probably need to be taken apart and put back together again as opposed to be moved in a unit. One cannot know for certain how successful it will be until it is being done. · As to whether staff would consider designating just the two buildings, rather than the whole property, Ms. Coutts indicated Tim Marc, Senior Legal Counsel, had advised heritage staff to designate parcel of land they felt was a meaningful associated with the buildings. · With regards to the developer’s request to move the line further removing one line further east, Committee and Council could certainly do that. However, staff feel it is a cohesive and meaningful piece of land. · Staff would work with any developer who was interested in developing this parcel of land to achieve their aspirations. It is not clear why it would be necessary to slice off a piece, as meaningful development could still take place there within the parameters of a heritage designation. · With respect to the possibility of moving the barn elsewhere on the property, there is always risk associated with moving a building, and moving it would decrease the significance as it has a historic relationship to the house. · Staff acknowledges that adapting and reusing any building is not always easy. New uses have to be accommodated, but in terms of the Ontario Heritage Act that isn’t necessarily a hindrance. It is the goal of heritage staff to work with applicants to retain buildings, keep them meaningful, and make them useful well into the future. In response to questions from Councillor Qadri as to whether the property owner had approached the City to use the part located closest to Hazeldean Rd, John Moser, General Manager of Planning and Growth Management indicated he had not been approached by the owner on that issue. Councillor Qadri noted the front corner of the property was being used as a construction site, possibly for the widening of Hazeldean Rd or for Trinity Lands development across the. Ms. Coutts, while she was not aware of the construction site referenced by the Councillor, wished to clarify that although staff is recommending the entire parcel for designation, this would not preclude new commercial or residential buildings being placed on the land. In response to question from Councillor Feltmate with regards to March House, Ms. Coutts confirmed that it was moved slightly back on that property. Staff knew when that building was designated that it was going to be shifted on the property, but felt that it was of sufficient value that that was an acceptable approach in that particular instance. It would not have had the same significance and value if it had been moved to a different site. Councillor Feltmate noted that, having been involved with the Fernbank CDP process from the beginning, she could recall a significant conversation with regards to relocation of the barn, and was not sure the passage quoted by the delegation really represented what she recalled as the the intent for the property. Ms. Coutts noted there is another section of the CDP that addresses the heritage status of the building. She recalled that it was always included in the CDP with the knowledge that it would be protected under the Ontario Heritage Act. In response to further questions from Councillor Feltmate, Ms. Coutts confirmed that the recommendation under the Heritage Act is for the entire farmstead, and as such anything to be built there would constitute new construction on a designated property and would have to go through an approval process. If Council were to support designation today, but with a slightly different parcel, Mr Marc indicated it could be done, and staff would likely need to do a new reference plan to come up with the proper parcel identifier number. Councillor Feltmate encouraged Committee to approve the designation as described in the report, which would enable the developer and staff to go forward and work on developing the land under the existing rules. She suggested there were many potential ideas for the site, such as a venue for arts activities or community health facilities. She also felt that the City would have a certain responsibility on this front, as they are doing the designation and there are certain needs in that community. Councillor Hunter reflected on a number of points. He noted that some 25 years previous the Craig Farm was the subject of an application to the former Regional Municipality of Ottawa Carleton for designation of that land within the urban boundary, which was opposed by the regional planning committee, and Council. The application went to the Ontario Municipal Board (OMB,) where the City depended heavily on an agronomist’s report that indicated the farm land was some of the richest in the Ottawa area. When it could not be justified that there was enough land supply for the population extension that was predicted, it was ordered that the land be brought in to the urban boundary. He suggested it was a shame to see the land becoming urban development, and lamented that, as in other areas around the City, it was more economically viable for the farmer to sell the land to a developer than to work it as farmland. He blamed the City’s own policy of intensification, which does not allow boundaries to grow out to surrounding marginal land around, which is plentiful. Councillor Hunter noted that the former Nepean Council was faced with similar pressures when the expansion of Barrhaven surrounded two barns, which were ultimately preserved. While the preservation of those barns seemed to make sense at the time, once residents moved in around them, a new set of pressures started to exist. One barn was turned into a party room, and the other remained as a working barn, resulting in neighbour complaints about noises and smells etc. 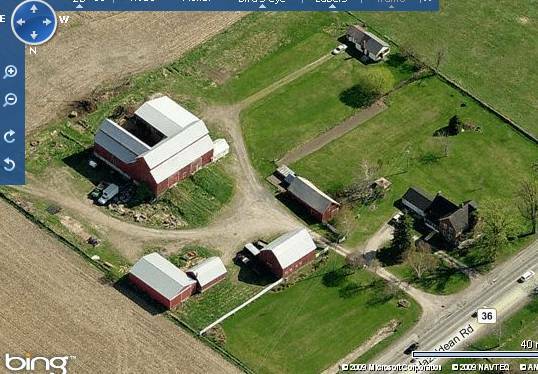 He noted the farms in the Ottawa area had gone through a number of evolutions in styles of barns, and farmhouses. He proposed an alternative could be, rather than leaving these barns eventually become eyesores in urban development, they could be moved to a campus, such as was done at Upper Canada Village. This way, they would be in a context where people could understand the evolution of the farm history of Ontario from the early 1800’s to the present. He indicated he would support the designation, but hoped in the future there would be consideration of looking for a place to locate the barn where it is compatible with its surroundings. Councillor Holmes indicated she would be supporting the designation. She suggested it was the City’s job to try to ensure that some of the City’s heritage buildings and major historical sites be preserved. She agreed this was a valuable piece of land from a historical and architectural point of view, and argued that when developers buy land like this they are assuming the responsibility for looking after the heritage and the history. She noted there is new construction all the time in heritage conservation districts, and staff frequently works with owners throughout the City. As an example, she noted another item of the agenda that was is an application for new construction in the Centretown Heritage Conservation District. She did not expect it to be any different in this case and expected to see buildings being built in an appropriate fashion on this location. Councillor Qadri maintained it was important to keep the barn in the existing location. He agreed that the buildings located on this property have a history associated with the area, and moving them somewhere else into another location would not be ideal. From a Community perspective, he suggested there were many uses that could be had on this property in the future, and proposed that designating the property would not close the door on future development or uses for the barn. He asked Committee to support this staff report, on the understanding that the City will continue to work with the land owner to see what can be done on this property in amongst all the other development that is happening in the community. Committee then considered and approved the report recommendation as presented. That the Planning and Environment Committee recommend that Council approve the designation of the Bradley/Craig Farmstead, 590 Hazeldean Road, under Part IV of the Ontario Heritage Act in accordance with the Statement of Cultural Heritage Value, attached as Document 4, as amended.